I often see many companies working only for iOS and Android. It is true that they are the main platforms (mainly in the US) and that they make much more money than other platforms. However, their product will never be famous. Let’s analyze for some minutes the Angry Birds example. If you are reading this post you may already know what Angry Birds is. If not, you can check what Wikipedia has to say about it. Why am I talking about Angry Birds? This addictive game crossed a line when talking about popularity: millions of downloads, #1 in almost every store, Plush Toys Store launched, people talking and joking about it, fans worldwide, etc. And all achieved in one year! Just look at the end of this Google’s video where Angry Birds is treated as the same level as iPad talking about hot search topics in 2010. You can also see the video showing a TV comedy show Angry Birds fun video. What about the dozens of videos in YouTube showing how to solve every level of the game? Why did they all pick Angry Birds and not other game? Popularity. I will not talk about Angry Birds as a game. I will talk about Angry Birds as a multiplatform solution. Angry Birds is now officially available for iPhone/iPod, iPad, Android, Symbian, MeeGo, webOS and the list continue growing, including Windows Phone and Bada for next months. Everyone can talk about Angry Birds because it is available in most platforms. Think about it: if a game or app is only available for one or two platforms, it will never be famous. Which famous trademarks do you remember that are iOS applications or Android applications only? If you decide to develop for one platform, your app will only be a niche product and it will not cross the popularity frontier. Ok, I know… multiplatform is not the only outstanding feature of the game. Angry Birds is also funny and addictive. But I’m pretty sure that if they were available only for one platform, they would not be so famous. BTW, I don’t believe Angry Birds is an innovate game. It is just a clone, a good one, from other older games. Just look at Crazy Penguin Catapult and you will see what I’m talking about. In fact, I believe Angry Birds has also some failures in game and level design. However, here we are: talking about it. Don’t insult a user because she does not have the phone you like to develop for. Provide the best experience you can for every platform. 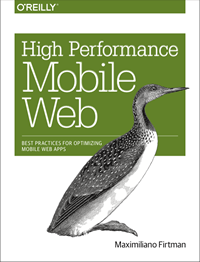 Think on mobile web solutions for solve portability if possible, like hybrids, widgets and webapps (Chapter 12 of my book covers these topics). Follow Angry Birds example: be multiplatform. Christian, I don’t believe Instagram or BB Messenger are famous apps for non-geeks users. In fact, this is the first time I hear about Instagram. (Ok, to be honest I’ve tested it but I forgot it a week after). Just ask your friends about them (not-geek friends, please). There are a lot of apps inside every platform, but they don’t cross the line. You can not talk about it in a Google’s video as the year most influent keyword. If Angry Birds were a iOS-only game, I don’t believe it will have the same mass popularity as today. Even porting to other platforms helped them to main iOS platform downloads. I agree that multiplatform is not the only feature that helped Angry Birds marketing and sales. However, p=>q, q!=>p. I mean, if you are a out-of-geeks-famous app (Angry Birds, Facebook, Google Maps), you are multiplatform. That doesn’t mean that if you are multiplatform, you will be a famous app. However… it worth to try it. If you don’t do it, you will never know. interesting about the take about being multi platform – but thats not it. I know people who bought handsets just to play the game. Its gameplay plain and simple, thoroughly polished and appeals to all ages. But Angry Birds was already popular before it was even ported to Android. That’s why it was big news when they announced an Android port. I have to agree with Jose, Angry Birds was already crazy popular before moving to other platforms. It was popular on the geek and iOS markets only. It was not popular on mass media markets, TV, jokes, etc. It must be a multiplatform app for that.